West Palm Beach -- More new foreclosure cases were filed last month statewide and in Palm Beach County than in April or May 2011, but experts say many of the homes will never end up in bank hands. Increasing efforts by lenders to negotiate short sales will divert distressed properties from the foreclosure pipeline, which saw an 83 percent jump statewide in new filings in May compared to last year and a 16 percent increase from April, according to a report to be released today by RealtyTrac. The higher foreclosure numbers were reflected in Palm Beach County, where the clerk and comptroller noted a 62 percent increase from last year and a 3.6 percent bump up from April. Still, RealtyTrac CEO Brandon Moore said banks are recognizing the benefits of short sales over processing a lengthy foreclosure, meaning more properties will sell before being repossessed. “Disposing of distressed homes pre-foreclosure sale can benefit lenders and servicers because homes sell at a higher average price than bank-owned homes,” he said, noting that the average price of a short sale nationally is $27,000 higher than the average price of a bank-owned home. In a short sale a lender agrees to sell a home for less than what the borrower owes on the mortgage. During the first quarter of the year, the number of short sales in Palm Beach County was up nearly 54 percent compared to the end of 2011, RealtyTrac found. On an annual measure, they were up 38 percent. Lee said some of her clients have missed only one or two payments, while others have a final foreclosure judgment against them, but have persuaded the bank to delay the auction based on a pending short sale. “We try to help people no matter what stage they are in,” she said. The average sales price of a Palm Beach County short sale during the first quarter of the year was $113,121, just slightly higher than the $112,456 sales price of a bank-owned home, according to RealtyTrac. Nationally new foreclosure filings were up 12 percent in May from last year, hitting their highest level since October 2011. Increases were seen in 33 out of 50 states. But overall foreclosure activity, which includes new filings, notices of foreclosure sale and bank repossessions, was down nationally last month from the same time in 2011, marking the 20th straight month where total filings decreased. Blomquist said new foreclosure filings were artificially low in 2011 because banks were still reviewing their paperwork and legal procedures in light of the robo-signing scandal. The number of Palm Beach County homes repossessed by banks in May dropped 44 percent compared to last year and 13 percent from April, according to RealtyTrac. Palm Beach County Clerk Sharon Bock said she’s concerned about how her office will handle the increase in foreclosure filings after a $2.5 million budget cut that will begin July 1. 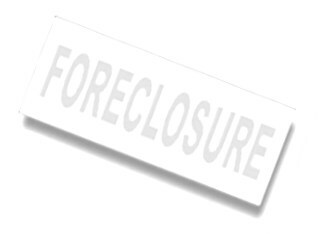 Palm Beach County has about 39,000 pending foreclosure cases.